Some hours later, one evening in July 2015, he and his two sisters, six-year-old Mahina and five-year-old Omina, would be dead. They were throw into a rushing river by their own mother before she attempted and failed to take her own life. Passersby were able to save Parvina Abdullоyeva, but not her children. Stories of such dramatic or successful attempts at suicide accompanied by child-killing crop up regularly in the news in Tajikistan. Although the deaths, when they make the headlines, provoke shock and disbelief, the issue of self-harm is such a taboo that there is limited public discussion about how it can be tackled. Abdullоyeva was 33 when she drowned her three children in a river in Dushanbe, the capital city. After her arrest, she was compelled by the police, for the purposes of filming a piece to be broadcast on television, to revisit the scene of her crime and to provide a blow-by-blow account of her actions. There was little attention given to her motivations. The outline of Abdullоyeva’s biography is reasonably common for women of her generation in Tajikistan. After leaving school, Abdullоyeva, whose family is from the town of Yavan, worked on a farm for a few years. At the age of 22, she married, for love. Arranged marriages are common in traditionally minded families, so the distinction is important, especially considering what would happen later. Nosirova, who is Abdullоyeva’s mother, described her as having been quiet and withdrawn since childhood. Abdullоyeva was not one to complain, but she also never shared her worries and problems. “Every time we went to visit her at home, she would greet us with a smile. She always said everything with her was well. If we ever asked questions, she would tell us not to interfere in her personal affairs,” Nosirova told Eurasianet. On the ill-fated day, Abdullоyeva apparently came to suspect that her husband was cheating on her with her cousin. To distract herself, she turned off her phone and took her children for a walk into town. In her angered state, she told nobody of her movements. The message was a lie, seemingly written in spite. But it was enough to push Abdullоyeva to desperate measures. How Abdullоyeva’s case then developed further speaks volumes as to the way this kind of seemingly inexplicable act is viewed by a justice system ill-equipped to deal with or understand the consequences of mental breakdowns. During and after her trial, Abdullоyeva received virtually no psychological consultations. The only exception came when the court needed an expert to evaluate her mental state. A psychologist told the court that she was mentally fit. Few of the circumstantial details emerged during the court hearings. In cross-questioning, Abdullоyeva remained either mute or just nodded. Bobojonova said her client was sentenced for premeditated murder. This article of the law is distinct from “murder committed while in a state of powerful emotional distress,” which is punishable by up to five years in prison. Abdullоyeva was instead sentenced to 18 years in jail in October 2015. At least half a dozen episodes similar to Abdullоyeva’s have occurred since 2015. 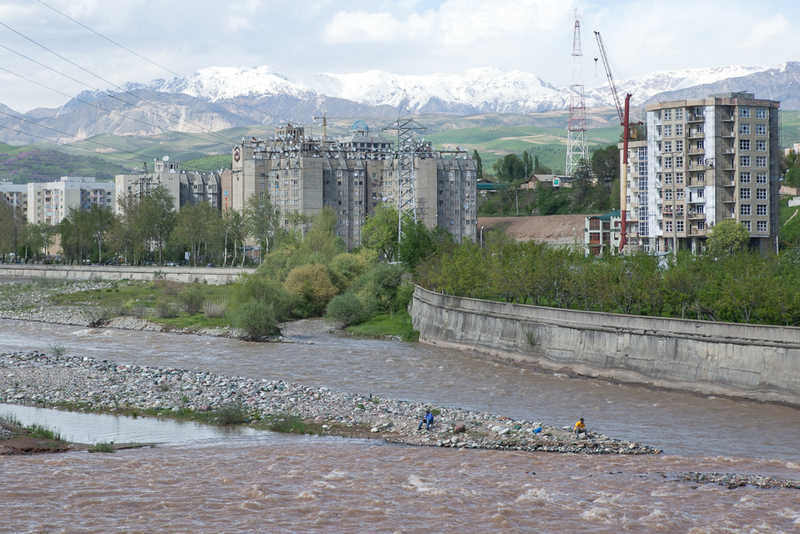 In one case from earlier this year, 23-year-old Sairam Holova on May 7 jumped into a river in the Hisor district, west of Dushanbe, with her two children. All three died. According to figures from the government’s Women and Families Committee, 497 women committed suicide in 2017. In 2016, the number was 596. In spite of those alarming figures, there is scant up-to-date research into what drives so many to suicide. A 2013 UNICEF study done jointly with Columbia University about the dynamics of suicide among young people in northern Tajikistan, found that girls and young women appear, in contrast with other parts of the world, to be at particular risk. A cocktail of factors – from poor educational prospects, risks of violence over perceptions of inappropriate behavior, and creeping conservatism – are identified in the study. But perhaps the most alarming finding relates to the standard response of the authorities. The much older data that Mukhamadiyev, the psychiatrist, was working on back in the early 1990s, looks relevant even today. Spooked by a spate of self-immolations in Soviet Tajikistan at the time, Soviet authorities set up a working group to study the issue in 1985. The question of intra-family relations remains a decisive factor, Mukhamadiyev said. Arguing along similar lines, Zebo Sharipova, director of the League of Female Jurists of Tajikistan, said that the motivation for suicidal behavior among women can often be found in their relations with spouses. “The last women who took the decision to commit suicide but were saved by their relatives talked about how their husbands had decided to abandon them. They were afraid they would be left helpless without their husbands and that nobody needed them any longer,” she said in an interview earlier this year. Sharipova said that women are often unaware of their legal rights and that there are organizations to whom they can go for help. Her own nongovernmental group provides both counseling and legal assistance for women in crisis. In prison, as it is outside, there is no provision for addressing mental health problems. Sufferers of severe trauma are by and large left to their own devices. Abdullоyeva has told relatives she hopes “to see her children after death.” But because suicide is anathema in Islam, she is putting off another attempt in the hope of redemption. “She is asking God for forgiveness for her sins and for a chance to see her children in another world. It is that which is making her live,” Bobojonova said.